I received a little package the other day in the mail. The Tiny Portrait, by Heidi Carla, is a tale of two siblings, Tess and Toby, who discover a Memory Box full of antiques and heirlooms. As they delve into its treasures, they discover a mysterious woman named Lottie in a tiny portrait from the past. She takes them on an adventure through their community. Along the way, they learn about their family history by studying postcards and diaries, visiting the library, and meeting an antique dealer. In reading this, I was reminded of both the movie Hugo and the best-selling children's series, the Magic Tree House. Enigmatic characters, attempts at unlocking puzzles to the past, and a little bit of magic are perfect ingredients for any enchanting tale. Ms. Carla began writing The Tiny Portrait while researching her family tree. Sure to please all ages, it would be a terrific gift to give a young relative to get them interested in their own genealogy. In fact, I have a couple of grandnieces in mind that I'm sure will enjoy receiving this as a Christmas gift! Shhh! The Tiny Portrait by Heidi Carla, illustrated by Karla Cinquanta. Hardback, 52 pages. Published 2014 by Curly & Iceburg Publishing, Cranston, Rhode Island. Available on Amazon . Disclosure: I received a free book from Cadence Marketing Group for review. As an Amazon Associate, I also receive a small percentage of the purchase price when readers purchase a title through the Amazon link above, although this title is available at other websites and various bookstores. Photo Duplication Service to Be Discontinued on Dec 5, 2014 by Diane Gould Hall at Michigan Family Trails - I'm really sad to see this go. Thou, Lord, wast at our side; all glory be Thine! This hymn, traditionally sung during the Thanksgiving season, is an old Netherlands folks song translated by Theodore Baker. The tune that is used is "Kremser," an old Netherlands melody in The Collection, by Adrianus Valerius, 1625. It has been my favorite Thanksgiving hymn since I was about six or seven years old, when my father explained to me the story behind the hymn, as a part of the Dutch heritage and cultural lessons he and my mother taught me at home. Those were the basis of my love for history and genealogy today. I remember singing this song a cappella for show and tell at school in second grade. During the Eighty Years' War (a war of independence) between Spain and what would become the United Provinces of the Netherlands, the inland city of Leiden--among others--was besieged by Spanish troops from May through October 1574. People were starving, and although the Dutch had ships of food to relieve the citizens, there was no way to get the supplies past the Spanish troops. The Dutch then sacrificed their land by cutting the dikes, flooding the area outside the city along with the Spanish encampments, so that the ships could sail in and provide sustenance and relief to the city. The hymn above was written to give thanks to God for His Providence during this war. Because of the cruel persecution the Calvinistic Dutch people suffered at the hand of the Catholic Spanish, the Netherlands became a place of refuge for the religiously oppressed. It says much of the tolerant Netherlanders that they did not become consumed with hatred for Catholicism, and thus did not become a country of violence and strife as we see in Northern Ireland today. Those southern Dutch provinces which remained loyal to Catholicism eventually--and peacefully--became the country of Belgium. The city of Leiden became a host for the English Separatists, whom we know today as the Pilgrims. They lived there from about 1608 until the majority left for America in 1620. Some of the family members remained behind until the colony was established, arriving on later ships. As we know with history, each event was inspired and created by many others. While there were many early European groups in North America that celebrated some sort of thanksgiving event, our modern Thanksgiving holiday is most closely aligned with the one that took place in 1621 by the Pilgrims. Their arrival on this continent was an important historical event in the timeline of our country. Yet if not for the city of Leiden, its successful stand against the Spanish in 1574, and its place as a haven for the religiously oppressed, we may not be celebrating Thanksgiving today. 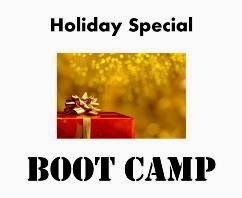 Holiday Special Boot Camp: I'm Attending...Are You? I'm really looking forward to this holiday weekend! Not only is it a chance to take a break and relax from my job, spend time feasting with family, and count my blessings, but I'll be participating in the Holiday Special Genealogy Boot Camp with Thomas MacEntee and Lisa Alzo as the hosts! First of all, what is a Genealogy Boot Camp? It's a webinar (online seminar) series at Hack Genealogy where Thomas and Lisa show their audience some pretty amazing tips and tricks to help with those sticky research challenges and brick walls. Over the past year, they've hosted the Mastering Evernote for Genealogy Boot Camp, Blogger Boot Camp, Self-Publishing Boot Camp, Get Your Genealogy Groove Back Boot Camp, and Genealogy Writing Boot Camp. These camps generally involve 3.5 hours of live instruction, numerous handouts and templates, and access to the recordings to review them at later times. Normally, the cost of attending these Boot Camps is $12.95, although you can get an early bird discount of $9.95. I've decided to pay full price for my Boot Camp experience this weekend. I've already registered here (seating is limited!) and I will be paying later this week, after payday. I wanted to highlight to my readers that normally when you register, you pay at that time, as a part of the registration process. With the Holiday Special Boot Camp, however, the way you Pay What You Want is by clicking the Donate button located about a third of the way down the Hack Genealogy post about the Boot Camp. I encourage you to donate what you believe to be a fair amount for the Boot Camp. As added incentive, Thomas and Lisa have agreed to donate 25% of their proceeds to Preserve the Pensions, the project to digitize all the War of 1812 Veterans Pension records. Finally, don't forget about the Holiday Special Boot Camp Contest! There are going to be some amazing prizes, totaling $2,500! These include prizes such as genealogy software and Ancestry.com's World Deluxe subscription, and range in value from $30 to $300! There are also going to be prizes given out during the Boot Camp. So join in the fun, learn some great research tips, and help out a great cause! See you then! The November 2014 Scanfest will take place here at AnceStories this coming Sunday, November 23rd, from 11 AM to 2 PM, Pacific Standard Time. It will be held one week early due to the U.S. Thanksgiving holiday weekend. 50 Gifts for Genealogists - 2014 by Diane Boumenot at One Rhode Island Family - on my wish list? Numbers 2, 8 (the NGS membership), 11, 12, 16, 27 (both books), 29 (all except the Courthouse book, which I already own), and 33 (a Y-DNA test for my dad or brother; I've done FTDNA's mtDNA and atDNA tests already). A Life in War and Peace by Bob Garrett at the Archives of Michigan Blog - the post recounts the life of John Widdicomb of Grand Rapids, Michigan, who founded the Widdicomb Brothers and Richards Furniture Company, where my great-grandfather, William James Valk, worked for most of his life. Honoring Those Who Have Served by Juliana Szucs at the Ancestry Blog - this lists links to a series of articles on the Ancestry Blog on various conflicts in American history. 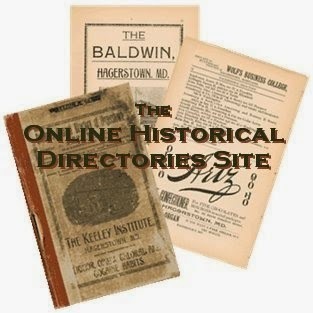 Each post lists the collections that Ancestry has for each of these time periods. It's good to revisit the descriptions of these collections, even though I'm a long-time Ancestry subscriber, because it's easy to forget some of the smaller databases that are great military records resources. 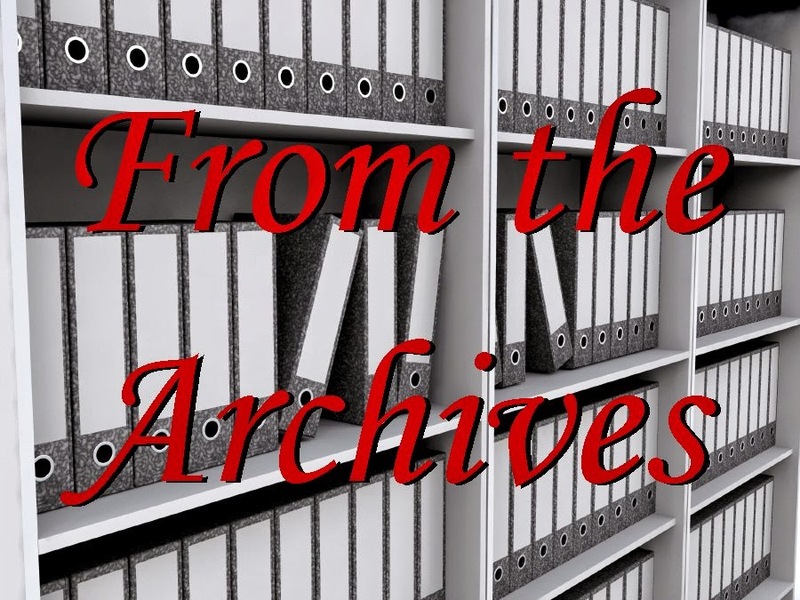 Welcome to the Advancing Genealogist! 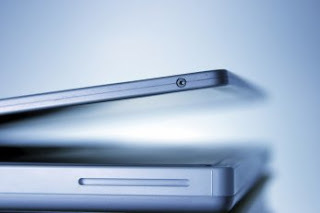 by Debbie Mieszala at the Advancing Genealogist - this new blog corresponds to a new website where, Debbie explains, she hopes to build a resource library: "A place where things are stored in a more permanent way than a mention in a fleeting blog post that you need to hunt around for later. My resource library will focus on topics in line with my specialties, but it will expand beyond those topics over time." A Northwest Pronunciation Guide - not a blog post or article, but a great resource if you have ancestors from Washington, Idaho, Montana, Alaska, Oregon or British Columbia - like most regions, we have some pretty unusual place names! 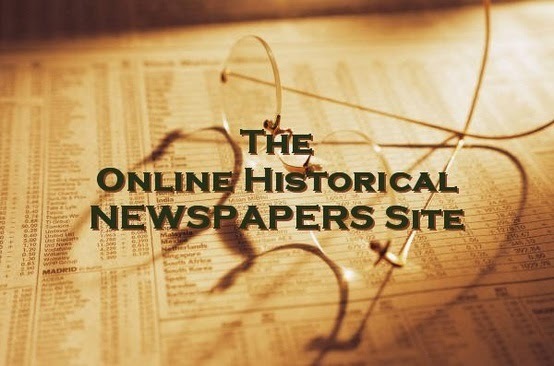 Tuesday's Tip: Was Your Ancestor Named for a Politician, Hero, or Famous Leader? Have you ever stumbled across an unusual name in your family tree...a name that didn't quite "fit in" with the rest of the traditional names? Have you ever had an ancestor named for somebody famous and wondered why? Last Tuesday, in most places in the United States, was Election Day. Many of us voted for our state representatives to U.S. Congress, our state legislators, and candidates and issues for local elections. In our ancestors' days, it was not unusual for them to name their children after their favorite local or national candidate or a famous leader. In 1824, the Marquis de Lafayette returned from France at the invitation of President James Monroe to celebrate the 50th anniversary of the United States. Lafayette toured the country for a little over a year, being honored by cheering crowds, celebratory parades, and banquets with aging veterans of the Revolutionary War. Numerous baby boys born during the latter part of 1824 and in 1825 were named after him. Look for name and spelling variations including Lafayette, Fayette, Fay, Marquis, and even the full Marquis de Lafayette as first names in your family from this time period. 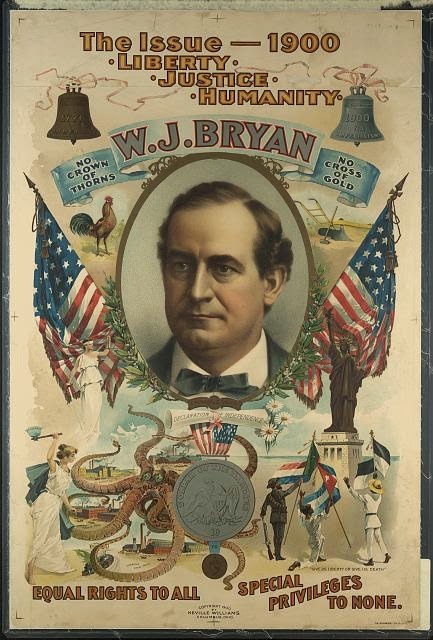 William Bryan Robbins - my Great-grandfather Robbins was named for William Jennings Bryan, the Democratic candidate for president in 1896, the year Great-grandpa was born. This is significant in my family, because William's father Angelo was the only one in a long line of conservative Robbinses until the present generation who voted Democrat. Both William and Bryan continue to be popular names for boys in the Robbins family. Woodrow Wilson Kimball - the half-brother of my Great-Great-Grandmother Robbins (Mary May "Lula" Kimball), he was born 5 March 1913, the day after Woodrow Wilson took office as the 28th President of the United States. Stephen Van Rensselaer York - the man believed to be the brother of my 4th-great-grandfather Jeremiah Franklin York, Stephen was named for Stephen Van Rensselaer II. Van Rensselaer was a prominent man in New York State, who was also a New York state senator at that time, and would continue to have a long public career, including one in the military during the War of 1812. William Wallace Robbins - there were actually two boys by this name; one the brother of my 3rd-great-grandfather Robbins, and another the brother of my 2nd-great-grandfather Robbins. Neither boy, named after "Braveheart," would live past his youth. So how can you determine where some of those unusual political names came from? Wikipedia has a list of United States presidential candidates here. You may need to Google your ancestor's state's gubernatorial candidates for the election year closest to when he was born. Reading county histories and biographies will also give you a good idea of who was running for local offices or was a local hero or leader around the time of your ancestor's birth. Do you have ancestors named for politicians, leaders, or local heroes? Leave your answer in the comments below! 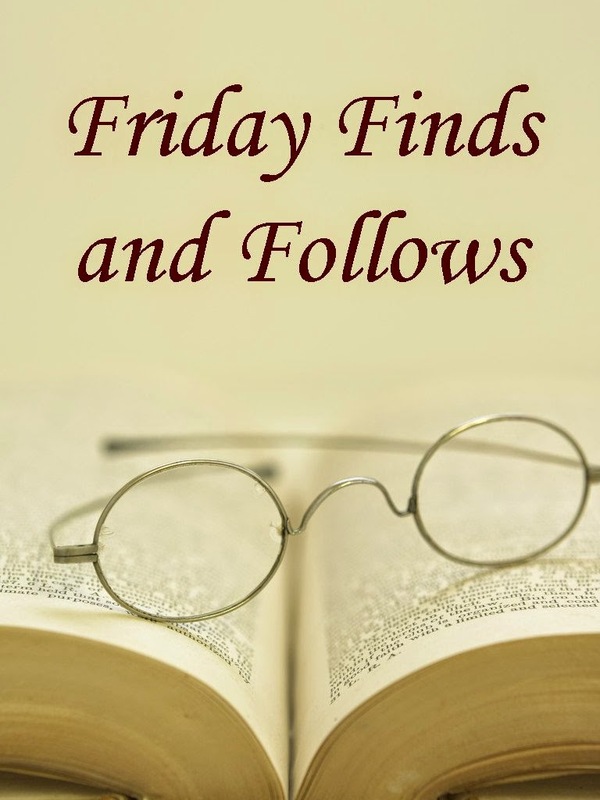 Last week, I skipped my Friday Finds and Follows post, as I felt like I hadn't made enough finds and follows to create a full post (I'm combining two weeks' worth in this post). Be looking next Tuesday for the return of Tuesday's Tips with an all-new article! Alaska's Darned October 1867 by The Ancestry Insider - I was born and grew up in Alaska, but had never heard about this!